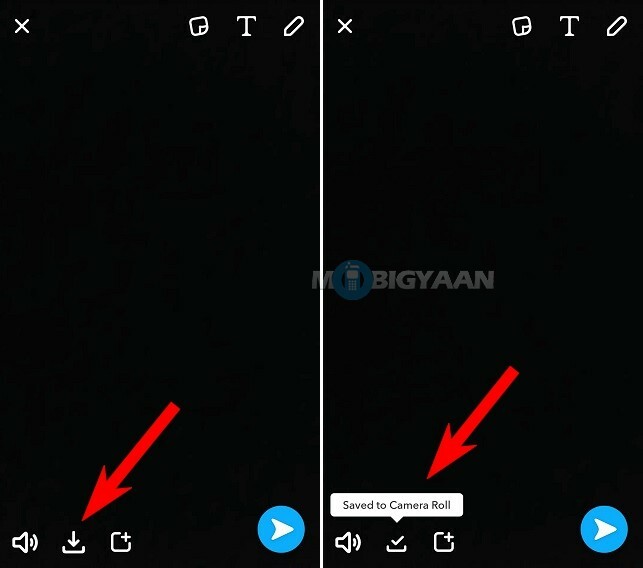 How to save Snapchat videos on smartphones? Snapchat doesn’t allow you to save your friends’ video in the gallery and you won’t find any option to save Snapchat videos anywhere within the app. Snaps often disappear after a duration. So, how do I save Snapchat videos before they disappear? 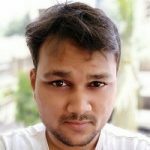 A solution I came up with can help you to save Snapchat videos on your phone. Read on to know. Snapchat is among the popular social apps that is used by millions of people worldwide for sharing their photos and videos. The app shows recent stories (photos and videos) of your friends that tend to disappear after you have watched it. It doesn’t stay forever like you see on Instagram or Facebook. Many of you might be thinking to save Snapchat videos of your friends to keep it as a memory but as you see, Snapchat doesn’t permit to. Same as for the photos, no option to save them and you end up taking screenshots notifying your friends that you’ve taken a screenshot of their Snapchat photo. Here’s the trick for saving the videos that will guide you step by step. If you are just curious to save your own Snapchat video, this is by far the easiest way you can do it. If you already know it just skip to the next step. Record a video like you usually do and then wait, don’t share it. There’s a small download icon that enables you to save it in the gallery app. Just tap it, and a message flashes saying ‘Saved to Camera Roll. Go back the gallery app and check the video under the Snapchat directory. Now whenever you film a video on Snapchat, make sure you save it first then share it. This way you can have all your snaps saved in the gallery. What if you want to save your friends’ Snapchat videos? Snapchat doesn’t provide an option inside the app, so we have to do something outside the Snapchat app. The solution is slight iffy but works. Note: While saving others’ videos is not recommended without their concern as it has to do with the privacy which they do deserve. If you are going to follow our guide on how to save Snapchat videos, make sure you ask the person you are collecting their videos for whichever purpose you intend to. We are not responsible for anything, you have been informed. 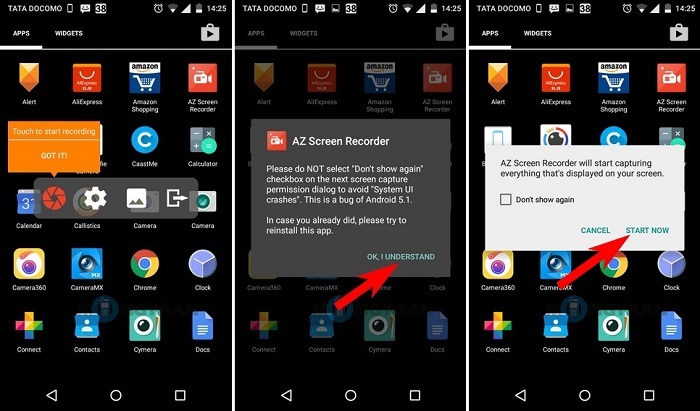 To save Snapchat videos of your friends’, Android users have to download an Android app named AZ Screen Recorder – No Root. Download the application from below. Since Androids have the ability to do much more stuff than iPhones, it can capture any screen activity you perform. Likewise, we are going to just open the snap and capture it with the screen recording app. 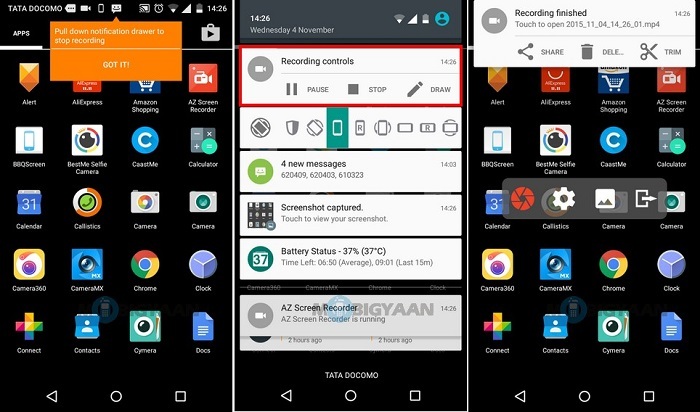 This guide on how to record screen activity can help you to record many things you do on your smartphone, but we are going to use it solely for saving Snapchat videos. Now open the Snapchat video you want to store, and record the portion. It doesn’t download or copy the video but captures the existing video from the screen and creates a new one. While the sound quality and video quality will not be the best as the original, but at least you get the snap. You may find other screencast apps that work the similar. 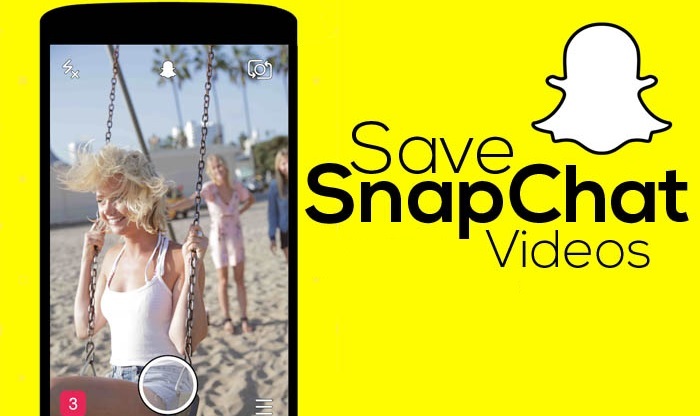 So, now you know how to save SnapChat videos if you have an Android device. Share this trick with your friends. Comment below any other ways you know that works. More guides are here at How-To Guides.